Collaborating with producer Clams Casino and experimental electronic musician Katie Gately, Wise has created unique sound collages that are operatic in their own way. 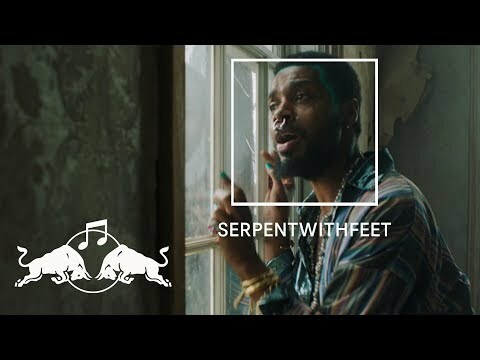 Casino, known for his ‘cloud rap’ productions and tracks for the likes of ASAP Rocky & Lil B (“Be Somebody”), The Weeknd, and Kelela, brings hip hop beats with a spacey, freeform style. Gately, who sculpted the sound on nearly half of the tracks on Soil, is known for constructing pieces from multiple layers and samples. 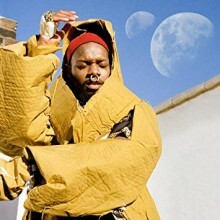 Together, they offer a work that enhances Wise’s melismatic singing style with avant garde electronics and multi-layered, hyperprocessed vocals. By also eschewing standard melodies and notions of song construction, the result is more akin to freestyle. Soil is a mesmerizing project full of lush harmonies and heartfelt lyrics that pushes the envelop through the electronic production, as well as the thematic material. Undefinable, and undeniably unique, the album’s deep roots extend into many facets of the Black music spectrum. If there are artists worthy enough for a Captain Beefheart tribute collaboration, it is the artistic duo of Nona Hendryx and Gary Lucas. The pair first beefed it up in 2013 with The Metropole Orchestra at Amsterdam’s Paradiso during an event produced by Dutch journalist and radio presenter Co de Kloet. 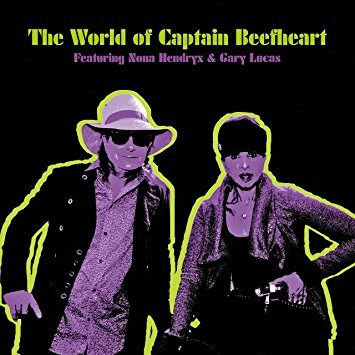 Four years and multiple hours of creativity later, The World of Captain Beefheart makes its way towards a triplicate fan base for all three musicians—Don Van Vliet, Gary Lucas and Nona Hendryx. Don Van Vliet, aka Captain Beefheart, first grabbed the public’s attention with his cover of Bo Diddley’s “Diddy Wah Diddy,” capitulating his gritty blues style to an interview on American Bandstand in 1966 and an appearance on ABC’s “Where the Action Is”. Soon after, Captain Beefheart and the “Magic Band”—whose members differed throughout the years but most notably of musicians Gary Lucas, Jeff Cotton, Bruce Fowler and Victor Hayden—released their first album, Safe as Milk, in 1967. While many envisioned him as the next blues frontman, Van Vliet had other ideas. His strong interest in experimental, avant-garde sounds—fostered alongside his longtime friend Frank Zappa—would lead him to worldwide notoriety as one of the most singular voices and uncompromising composers in popular music, a trail-blazing maverick who single-handedly changed the face of popular music as we know it. His music combined Delta blues, free-jazz, and proto-punk rock with surrealist imagery, ecological obsession, and ironic humor. During his 30+ year career, Van Vliet explored musical and lyrical territory never before charted in the confines of a traditional electric band line-up. His was a unique and unforgettable sound which proved highly influential on the first wave of punk and new-wave pioneers including John “Rotten” Lydon, Joe Strummer of the Clash , and Talking Heads’ David Byrne, as well as seminal artists such as David Lynch, Laurie Anderson, Ed Ruscha, Julian Schnabel, and Matt Groening. Captain Beefheart/Van Vliet retired from the music scene in 1982 to concentrate on his painting career before passing away from complications of MS in 2010. Gary Lucas first made his mark as a visionary guitar player on the final last two Beefheart albums, Doc at the Radar Station (1980) and Ice Cream for Crow (1982). A world-renowned instrumentalist and Grammy-nominated songwriter and composer, Lucas has released over 30 acclaimed albums in a variety of genres. Gary also collaborated most significantly with the late Jeff Buckley, co-writing “Grace” and “Mojo Pin”, the first two songs on Jeff’s 2-million selling “Grace” album. Nona Hendryx is a longtime fierce admirer of Don Van Vliet’s music, and possesses the huge voice and the commanding stage presence necessary to do full justice to repertoire that originally featured Beefheart’s unforgettable multi-octave voice. Although she’s best known as a funk/soul great thanks to her long tenure with international hitmakers Labelle (as well as the group’s antecedent, Patti Labelle and the Bluebelles) in addition to her own excellent R&B solo outings, she is no stranger to experimental rock territory, having been featured as guest vocalist with cutting-edge ensembles including the Talking Heads, Bill Laswell’s Material, and Jerry Harrison’s Casual Gods. The World of Captain Beefheart is an album that truly speaks for itself. “Sun Zoom Spark” opens the tribute, proving that in the Beefheart world, Hendryx has vocals worthy of the Captain’s raspy legacy. Other classics such as “When It Blows Its Stacks” and a moving rendition of “My Head Is My Only House Unless It Rains” cement the pair’s project worthiness. 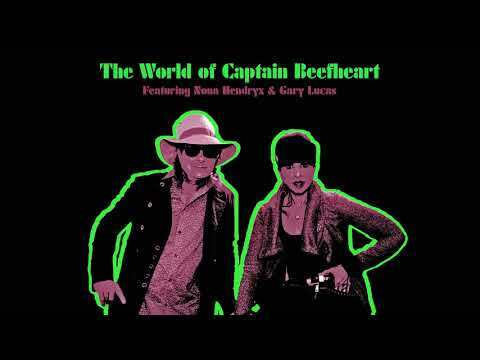 Ably supporting Lucas and Hendryx are expert practitioners of Beefheartian music: bass player Jesse Krakow and drummer Richard Dworkin. Both are veterans of Fast ‘N Bulbous, Lucas’ free-jazz instrumental outfit that specializes in repertoire from the Van Vliet canon. Completing the lineup is keyboardist Jordan Shapiro, who has played with Lucas in his long-running avant-rock crew, Gods and Monsters. A visionary and lyricist with unrelenting perseverance, artist Don Van Vliet is deserving of every expertly offered chordal riff Lucas and Hendryx have to give us. Through their dedication and respect to his craft, Captain Beefheart will live on in the hearts and souls of his fans forever, both long-standing and contemporary alike. The members of TV on the Radio don’t care much for generic conventions and it suits them. Looking back on when he first joined the group, vocalist and guitarist Kyp Malone described TVOTR’s early sound as “an open mic/karaoke night gone awry.” Since the release of OK Calculator, Malone, Tunde Adebimpe, David Andrew Sitek, Jaleel Bunton, and Gerard Smith have maintained the band’s creative energy, but focused and streamlined some of the chaos into works of sonic performance art. Formed in New York City in 2001, the band has already released several well received albums. Return to Cookie Mountain (2006) was ranked the fourth best album of the year by Rolling Stone and it earned the band Spin‘s 2006 title for Artist of the Year. Dear Science continues TVOTR’s tradition of intense multi-tracking and aural sculpting. “Halfway Home” begins with what could almost be a remix of “I Wanna Be Sedated.” Instead of offering up mainstream punk, however, the song morphs into something more reminiscent of ragas than Ramones. The opening chord on the synthesizer becomes a sustained drone, supporting both Adebimpe’s lilted out lyrics and a polyrhythmic percussion track. The drone shifts slightly to frame the chorus around two minutes into the song, but it only breaks at the very end when the synthesizer finally surrenders chordal control to a growling bass. 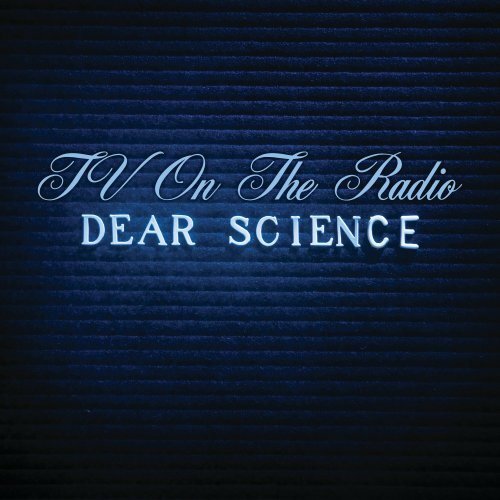 If this first track on Dear Science doesn’t establish the band’s ability to break boundaries and challenge categorization, nothing else will. Although many of the other songs do range from punk to funk, there’s almost always a liberal mix of sonic play from the horns and synthesizers to keep things off-kilter and interesting. More unique than the band’s sound, however, are its lyrics. The very first line of the album quickly establishes the band’s ability to play with language and imagery in a way that goes far beyond that of standard pop fare. “The lazy way they turned your head / Into a rest stop for the dead / And did it all in gold and blue and grey” isn’t exactly Keats or Whitman, but it does deliver up a certain poetic sensibility. Even when inscrutable or downright dreadful (Cod liver dollar signs? Lonely little love dog / that no one knows the name of? ), the lyrics seem somehow appropriate for a band flirting with the boarders of punk—a genre that strives to never take itself too seriously. If “Crying” makes veiled references to the Iraq War, “Red Dress” is more overt in its criticism, particularly the enlistment of African Americans. It’s not the war, however, but individuals who complacently accept new forms of slavery who become the primary targets in this song. TVOTR derides those who answer the crack of the whip and the call of “Hey Slave.” They twist the beginning of James Brown’s “say it loud, say it loud—I’m black and I’m proud” into “shout it loud, shout it lame,” bitterly illuminating the hollowness of these words if those embracing them tamely accept modern forms of racial repression and inequality. Although “days of white robes have come and gone” could refer to the end of peaceful times, it also functions as a wake-up call that white supremacy still exists, regardless of the changes to its outer guise. “Dancing Choose” is equally bitter, but it tackles the phoniness of American material culture and blatantly refers to those buying into it as mannequins and posed action figures who have traded their freedom and a sense of purpose for cash and glamour. True, many of the other songs on the album treat break-ups and love and loneliness, but even these tend to break the norm. “Lover’s Day,” for instance mixes more standard sultry fare with unforgettable lines like “I hunger for you like a cannibal” and “swear to God it’ll get so hot it’ll melt our faces off.” With its playful wording, this song seems more like a parody of a love song than one to be taken seriously in its own right. DGC/Interscope has also released a deluxe edition of Dear Sciene, which includes remixes of “Dancing Choose” and “Crying” plus “Make Long All Night Long” and “Heroic Dose” as additional bonus tracks. For the true music connoisseur, the album is also available on vinyl from various online retailers and comes with a free download of the entire album in mp3 format. It’s hard to imagine that someone insisting on the sonic quality of vinyl would actually tolerate the lossey digital sound of an mp3. Perhaps this idea is aimed at investors who want to keep their LP shrink-wrapped and in mint condition, in which case the free download would allow them to have their disc and hear it too. Since the download coupon is located inside the shrink wrap, this doesn’t exactly work out. In any case, the rich complexity and sculpted sound of Dear Science makes vinyl an attractive alternative as opposed to a mere novelty. All and all, TV on the Radio has turned out a strong album. If the band members can maintain the level of quirkiness and creativity that went into this latest project, then their star is definitely on the rise.